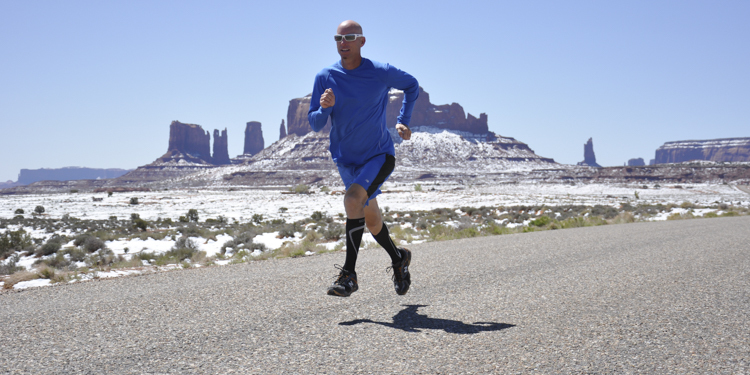 The One Mile Runner is David O’Meara’s personal laboratory for research, development and testing of new exercises, training methods, recovery techniques, athletic equipment and vegan products. Originally, supported by a team of consultants, the mission was to discover and develop new training methods that would help him increase his speed, improve his technique, prevent injury, and quickly recover after racing. The team consisted of a running coach, a physical therapist, a chiropractor, a message therapist, a pedorthist, an orthopedist, a sleep specialist, a registered dietitian and a life coach (for mental preparation). The strength, speed, injury prevention, and recovery methods created by this team have become the basis of The O’Meara Process Body Protection training program. 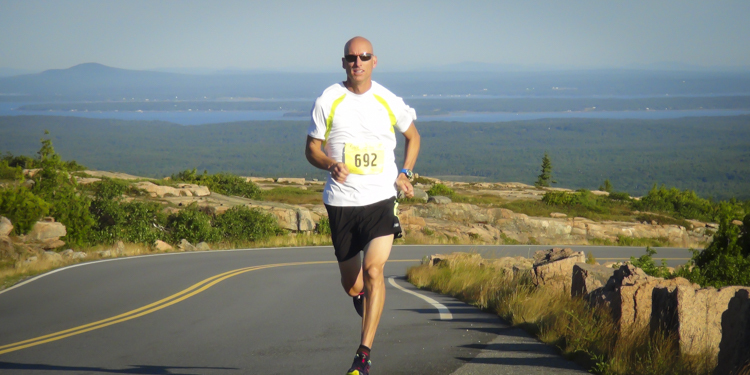 David continues to innovate and drive himself to new levels of performance through intensive training and challenging events that combine one-mile races with extreme physical, environmental and logistical challenges. Complete twenty one-mile races in 20 weeks in 20 different North American cities, all under 5 minutes at 45 years old. Complete 26.2 one-mile races in 27 different New England towns/cities in 61 days with a total cumulative time less than 2 hours 11 minutes (<5 minutes per mile on average). Complete 6 one-mile races, in 6 weeks, on 6 continents in less than 30 minutes total time (<5 minutes per mile on average). 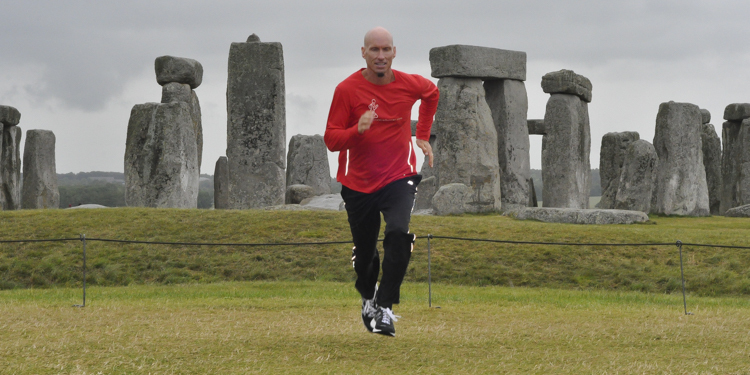 Complete a one-mile race at each of five Wonders of the World over five months with a total cumulative time under 25 minutes (<5 minutes per mile on average). Complete 7 one-mile races in less than 5 minutes each, on 7 different islands, in 7 different time zones, in 7 consecutive weeks. 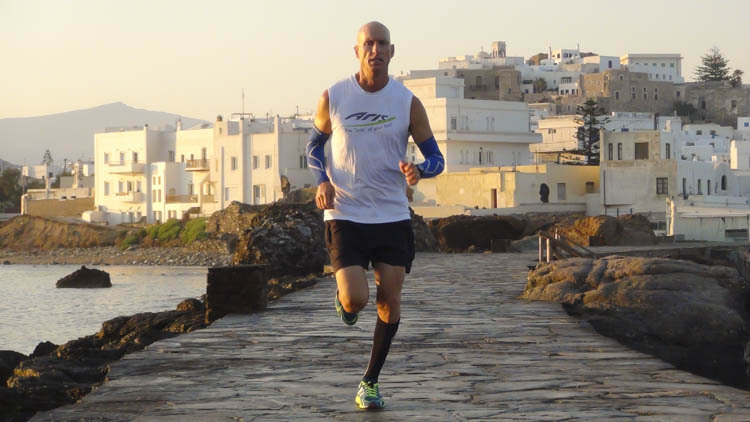 Complete 5 one-mile races, on 5 different Greek islands, all under 5 minutes within 15 days—only using boats as transportation between race locations.